Our clients are suing five of the world’s largest pharmaceutical and medical-supply companies for allegedly funding Shiite terrorists in Iraq through a sophisticated bribery scheme. As alleged, this scheme – aimed at increasing the companies’ market share and profits – provided funding for a Shiite terrorist group that carried out attacks that killed and wounded thousands of Americans in Iraq. In July 2018, the New York Times reported that the U.S. Government is now “investigating claims that drug companies funded terrorism in Iraq,” one or more defendants have “received an inquiry from the U.S. Department of Justice in connection with an anti-corruption investigation relating to activities in Iraq,” and at least one defendant has claimed that DOJ’s inquiry is related to the Anti-Terrorism Act case brought by our clients. We represent, or seek to represent, Americans who were attacked or who have a family member who was attacked, by Shiite terrorists in Iraq from June 2005 through the present. We believe these terrorists were supported by the defendants’ corrupt payments. Jaysh al-Mahdi (also known as JAM or the Mahdi Army) was a radical anti-U.S. militia that targeted, injured, and killed Americans in the years following the 2003 invasion of Iraq. Jaysh al-Mahdi was led by Muqtada al-Sadr, an Iraqi cleric and political figure notorious for his fiery anti-American rhetoric and brutal attacks on Americans serving in Iraq. This was widely known in Iraq and reported by major news organizations around the world. Beginning in 2004, Jaysh al-Mahdi terrorists took control of Iraq’s Health Ministry and began using the ministry to raise money for terrorist attacks. 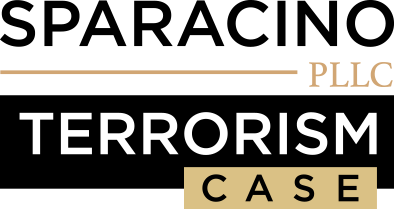 Despite the well-known and well-documented connection between the Iraqi Health Ministry and Jaysh al-Mahdi terrorists, our clients’ complaint alleges that large American and European companies bribed these terrorists to win contracts to increase their profits. As alleged, Jaysh al-Mahdi terrorists then used the bribes to fund attacks against Americans. Our complaint alleges that these bribes still happen today, and continue to support Shiite terrorists who remain a threat to Americans in Iraq. Our case was filed on October 17, 2017, in the U.S. District Court for the District of Columbia in Washington, D.C. on behalf of more than 100 Americans, including veterans, their family members, and the survivors of U.S. military and civilian personnel injured or killed in Jaysh al-Mahdi attacks. In an amended complaint filed on March 12, 2018, more than 200 additional Americans joined the case as plaintiffs. On December 31, 2018, the plaintiffs filed a Second Amended Complaint, bringing the number of Americans in the case to over 1,250. Our case alleges that the defendants have paid bribes as a matter of course in Iraq since the days of Saddam, and that they continued to do so after Saddam was overthrown and Jaysh al-Mahdi terrorists seized the Iraqi Health Ministry. Many of the defendants we have sued have admitted to paying bribes to Iraqi Health Ministry officials in the past, paid millions of dollars to settle such allegations, or have been found to have made such corrupt payments by an independent investigation. We believe that each defendant paid bribes to Jaysh al-Mahdi terrorists who controlled the Iraqi Health Ministry in numerous ways, including but not limited to, cash bribes known in Iraq as “commissions,” “free goods” bribes structured to make it easier for the terrorists to resell those goods for cash on the black market, and several other corrupt schemes several defendants have historically pursued in Iraq, the Middle East and elsewhere. We believe the evidence will show that by providing cash, “free goods,” and other corrupt payments to Jaysh al-Mahdi terrorists at the Iraqi Health Ministry, the defendants knew or recklessly disregarded that their corrupt payments would help fund attacks against Americans in Iraq.